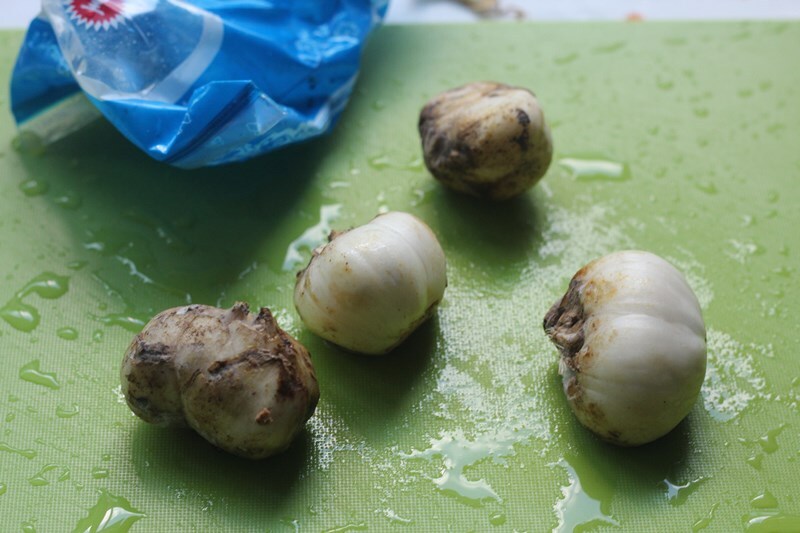 We can easily get fresh Lily bulb from the market during this time (CNY). 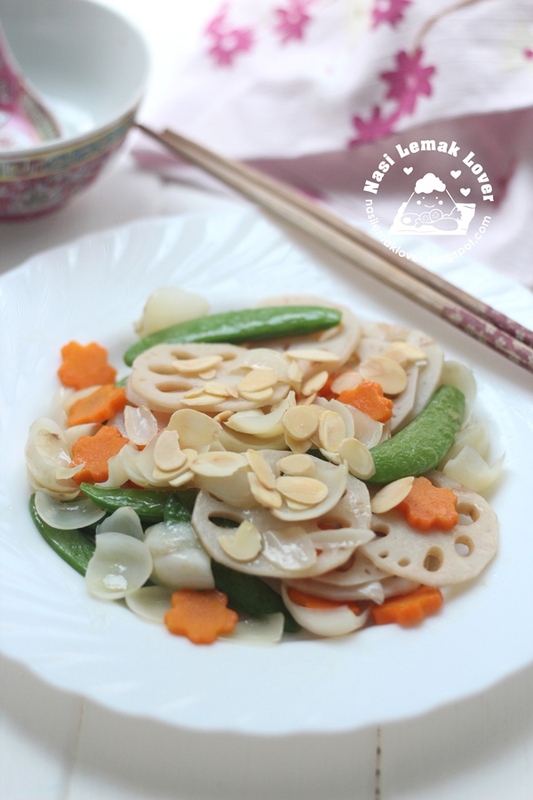 I like to just simple stir fried it with mixed vegetables, it taste crunchy and sweet. 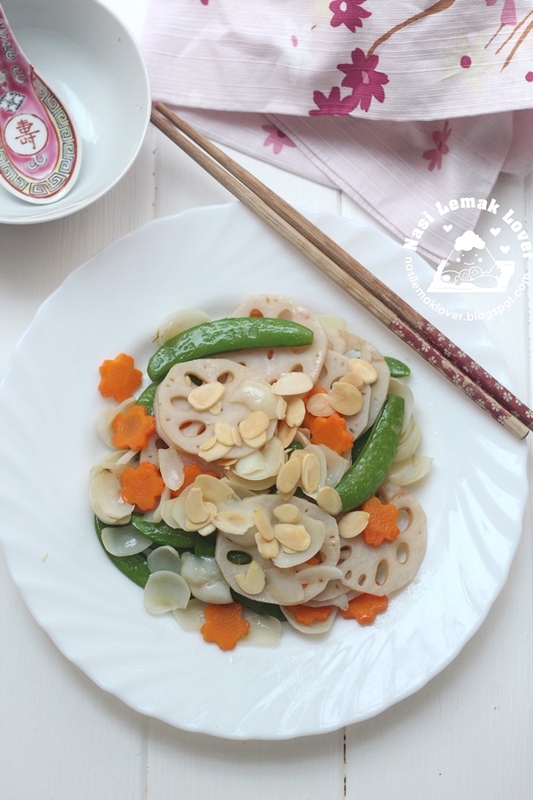 You can stir fry fresh lily bulb with mixed vegetables like celery (this time i didn't use), sweet peas, carrot, lotus root and etc. With all these difference colour of vegetables, it become a nice and colourful dish to be served during CNY re-union dinner. The tip to get the vegetables taste crunchy and nice is to very quick stir fry. 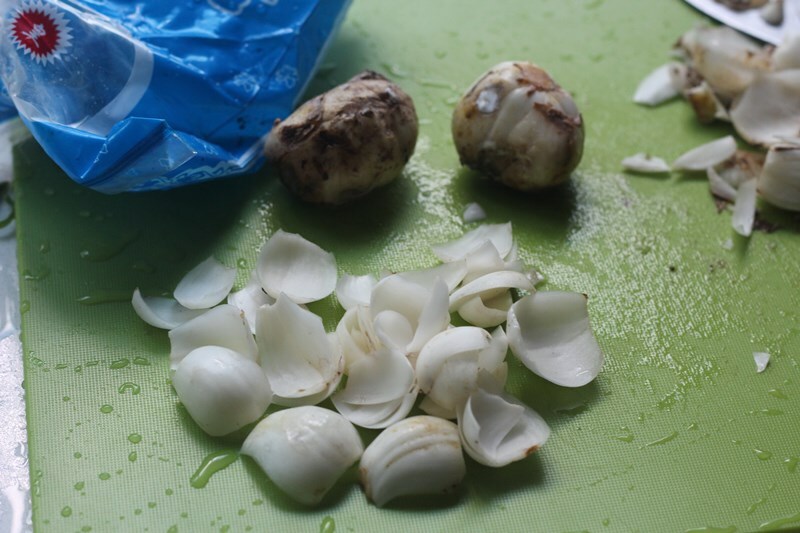 Gently break up the lily bulb into individual scales, discard those dark and spoilt scales. 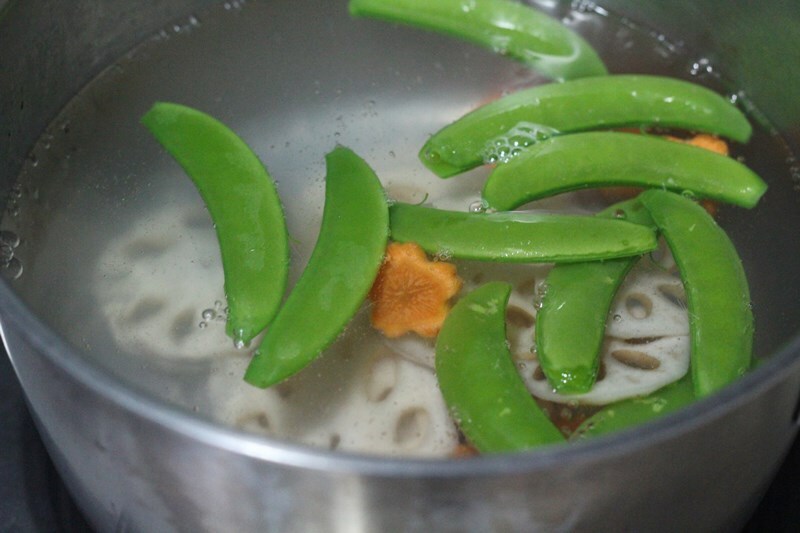 Blanch fresh lily bulbs, lotus root, sweet pea and carrot in hot boiling water for not more than 30sec. Drained. 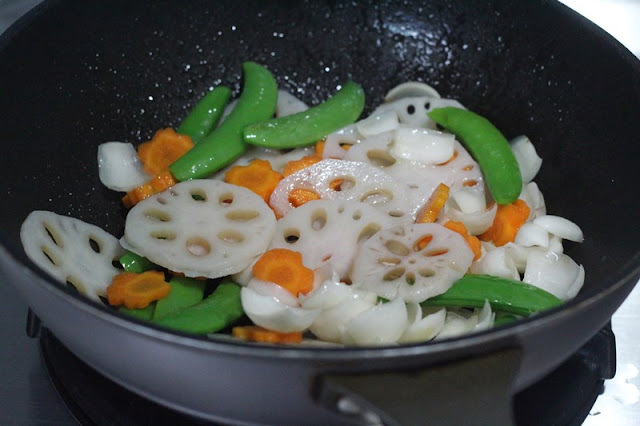 Heat cooking oil in a wok, add all vegetables and seasonings, quick stir for few seconds. Dish out , sprinkle roasted almond flakes on top, serve warm. 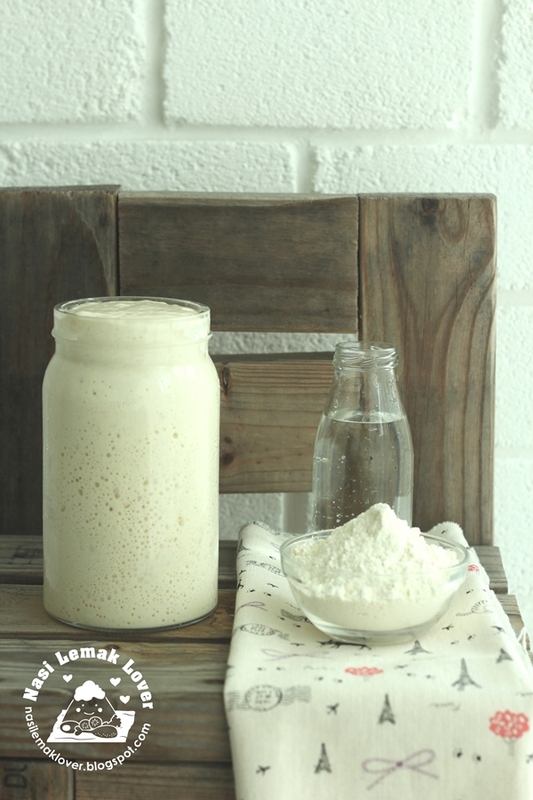 how do u maintain the color of the lotus root? each time i prepare, even i soak in water, it turn dark brown after awhile. Sheily,there is no special care to it, usually cut it at the last minutes before cooking.